You are one of the very early players in the software industry in India. Tell us about your initial years of this business – how did you start with and when you resolved to focus on the software products business. We started the software related business in 1991. After getting my engineering degree in 1987, I spent three years of time working as an R&D Engineer at a PC manufacturing company. Being in R&D environment, I understood very early that computers and software could be used to provide huge benefits to customers in their operations. With the value proposition being clear in my mind, and the adoption of computers and software in its very early stages in India, I started Digitronics in 1990, primarily focusing on computer sales and maintenance and custom software development. My brother Rajesh joined the company in 1991 and focused on strengthening the custom software development efforts, primarily serving the SMEs. In about two years, we had a very good grasp of the SME problems and had developed packages to help them with inventory management, accounting, invoicing among others. During 1992, it became abundantly clear to us that the maximum demand from SMEs was for accounting automation. Tally was the only product that was available in the market at that time. We sensed that if we could offer superior solution than our competitor, we had a huge market to capture. This led to creation of the first version of our product in September 1993. Selling a software product during those days should have been tough. What strategies did you adopt to gain customers in those initial years? In the initial years, when someone made a computer purchase, Tally was being shipped along-with the operating system. It was available to the end users, virtually at no cost. So, our challenge was to not only challenge the incumbent, but also to ensure profitability and revenue realization. In the initial years, we focused on providing key differentiators in terms of features and focused on filling gaps in terms of capabilities which were not present in Tally – such as Sales Tax Reports. Due to these differentiators, we were able to rapidly get acceptance from the tax consultant community, a key influencer to the end customers who purchased our computers and software. We did not resort to any external sales or marketing spends during those times. Only after we had more than 100 satisfied customers, we ventured out to exhibitions which would get us more prospective customers at one place. Our participation in IT Asia 94, a key IT Exhibition, held in December 94 at Pragati Maidan, Delhi helped us scale our sales significantly. We got very good mindshare and footfalls during that conference, and we could reach out to most of North India on account of this exhibition. Our business virtually doubled on account of participation in this event. Can you elaborate on how the product evolved over these years? Sure. Although we started by offering our product quite low-priced, we kept on aggressively investing on product development, making sure of leveraging the best out of existing technology from time to time. Our initial versions, till 2000 was DOS based, primarily due to the prevalent Operating Systems at that time. In 2000, we had a Windows based version of the product and we standardized our offerings under three categories, which helped us to charge our customers a bit more than earlier. In 2004, we introduced the Remote Access option which helped customers to access their accounting package from any location. At this time, we also re-architected our product to be working on either of Client Server or File Server mode. In 2005, when Value Added Tax (VAT) was introduced in Delhi, we were the first one to come out with a VAT-Compliant version. This nimbleness in design of a scalable architecture helped us in increased new sales, as well as conversions from competitors. From then on, we have carefully guarded our position as the leading provider of statutory compliance features for accounting software in India. In 2013, we made another big change in our product development strategy – to ensure that our customers can access the product capabilities anytime, anywhere and on any device. We provided a whole new set of features and capabilities to our products such as Triggers & Alerts via SMS or Email, browser-based access to data which enabled customers to use our software on tablets or smartphones as well. Even though you now have over a lakh installations, I notice that you have a limited channel partner network. What has been the reason? Can you tell us your views on working with channel partners? Our Sales have been primarily driven by references in India and in other geographies. This has helped us tremendously reduce our costs related to sales and marketing. From the inception, we have consistently focused on customer satisfaction, which has in turn got us leads. However, over the years, as we have scaled our business, we have started to work with channel partners as well. Our philosophy of engaging with any channel partner is by assessing if the partner gets any value by virtue of selling our product. If not, we do not proceed any further. We are also very serious in our commitments to channel partners who choose to work with us. We look at them as our extended team. We provide the same support, training and nurturing as we do for any of our employees. We also complement the capabilities of our partners by understanding their aspirations, mode of working – and then suitably play a role of supplementing them based on their needs. Some business partners are very tech savvy and aggressive on sales, while others are slow and steady. We take along every one of them – and ensure that their goals are met. This approach has helped us build trust and long term commitments from our channel partners. I see that your product now sells in multiple geographies. What are some of the best practices that you think that helped in selling to customers outside India? We started looking at global markets only when we were convinced that we had a proven product that is well accepted in our local customer segment. When we considered selling to overseas market, we quickly realized that the features of our product augured well for selling in emerging economies. Since regulatory and compliance issues change from country to country, we had to ensure that we choose the markets appropriately such that the product features should be at least close to what is required in the target market. We therefore chose emerging economies that were English speaking only during our first iteration of internationalization. This has helped us grow in markets such as South Asia, Middle East and Africa. Given the segment you are in, do you see piracy as an issue? What are your thoughts on the same? Have you taken any measures to address it? Piracy is an issue with us as well. Given that we are in a volume driven business and catering to customer segment that is increasingly value focused, we have to deal with this issue very carefully. Frankly speaking, the more we get to know about pirated copies of our product – we feel that our value proposition is being vindicated. It means that customers desperately want to use our product. However, we have not done anything to address this issue, since as of now, the market is huge, and our customer segment is sensitive to any negative signals of harsh enforcement. We also believe that due to the increasing complexity of accounting and the needs for regulatory compliance across the world, our future customers will find it increasingly beneficial to work with a valid licensed version of our product, since accounting is a crucial business activity that they cannot do away with. Great insights! In closing, what are the three key inputs that you would like to provide to fellow entrepreneurs who are targeting Indian customers? I would recommend all product entrepreneurs who wish to address problems of Indian customers to develop a deep understanding of the needs and pain points of their target segment. This will certainly provide benefits in the long term. Secondly, for Indian markets, you need to provide a product which is value for the money spent, and simple to use. Even now, if one is targeting the SME sector in India, one needs to understand that there is not much of IT expertise that an SME can afford – so your offering should be usable by even a semi-skilled person to be of any value to your customer. What was the motivation to start Impel? There were a couple of factors that came together in influencing creation of Impel. During 2006-07 timeline, after having successful career and managing different aspects of business around the world, I was looking at what could be the next big challenge to take on. Frequent travels to different parts of the globe also had started to become taxing. The domestic market was showing encouraging signs of robust demand for product based solutions. All these factors influenced in we taking the decision to set up Impel, a product company based out of India. What were your experiences during the initial years of operation and what was the learning? As we setup Impel, we converged on the CRM area as our focus to provide solutions, since we understood that many customers in the target segment that we were aiming were not very organized in dealing with Sales leads and customer centric operations. We invested our initial 18 months to build the product and made it available for customers by 2009. Given our previous corporate experience, we initially started leveraging the state of the art marketing and selling techniques and were able to land about 120 customers during the first year of operations. However, the biggest learning came next year, when we could not retain most of these customers. When we analyzed what went wrong, we discovered that our method of signing in customers using web based sales ensured that customers bought the product – but just purchasing the product did not mean that they would use it. It turned out that most customers had not tried the various features and capabilities of our product offering and hence were skeptical to renew the relationship with us for the next year. As an organization, how did you respond to this learning and what new measures did you take to overcome these limitations? We all gathered back at the drawing board, analyzed the developments and worked on how we could enhance our offering to ensure more usage and hence more engagement from the customers. We further segmented our target customer base, identified the key sub-segments that showed more promise and started working closely with leads from that bucket. During 2011 and 2012 we got very good traction from lifestyle businesses and rural businesses that focused on selling and marketing seeds, solar lamps, pesticides, FMCG and so on. The targeted and focused engagement with this sub-segment yielded very good results for us, and by 2013, we had about 120 to 130 stable customers. During the same year, based on our experiences thus far, we shifted our focus to engage with mid size companies and fast growing small companies. This shift in focus helped us to increase our profitability and ensured diversification into another segment of customers. What are your observations on the Indian market based on your dealing with them over these years? The Indian small and medium companies have many challenges for which they desire solutions. However, they currently are unable to articulate their problems and explain the desired solutions to the vendors who approach them. On the other end, if any vendor is able to identify these gaps in their operations, clearly articulate the pain points and propose a technology based solution that adds value / solves their pain points, the customers will lap it up. In our own case, we started off with a CRM offering – we wanted to be the Salesforce for India. However, as we listened to our customers, we discovered that they were buying our software to solve a variety of problems around the CRM domain of which we had no initial knowledge of. This interaction made us tweak our offerings based on their feedback. Secondly, the perception of Indian customers about cloud has drastically changed since the past 5 years. Customers now accept cloud as an alternative and secure medium of deployment. They realize that it provides them certain benefits than the traditional modes of deployment. This development, combined with the rapid acceptance of mobile and smart phones in the Indian ecosystem is creating a market of significant size that are willing to look at mobile and cloud based solutions to solve their challenges. What are some of the areas which you wish you could have executed better on? Being a bootstrapped startup, one needs to always prioritize on the areas that need the focus and attention to attain growth. Having said that, as I reflect back, there are a few things that I think we could have executed better. One of them is about the trial process we have to let our prospective customers try out our offerings. We notice that despite our best efforts, we were not able to better engage our prospects in ensuring their conversion. While the above one was on pre-sales, I also think we needed to do one thing better – on providing better documentation of our product, on the post-sales and support side. I notice that a few startups in India have been very good in this regard – and they have good customer retention and lesser support costs on account of this. I think that if we can simplify the usage of the product to the end user, and support the end user with description of how to use different features of the product; this combination will help in long term sustainability for our company. Interesting insights! In closing, what are the three things that you would like to share with your fellow entrepreneurs who are targeting the Indian market? I think we are at very interesting times as regards to targeting the Indian customers with our technology solutions. The first thing I want to let other entrepreneurs know is that the average Indian manager is much more willing to engage and evaluate your technology offerings. This is a very encouraging sign for all entrepreneurs. Secondly, mobility as a technology development is a big disruptive force, especially in the emerging markets. Hence, plan to leverage the power of mobility in all your solutions and that will surely delight your customers. Lastly, Indian customers take really long cycles to decide to buy. Continuously engage with them through marketing and other touch points, even when you may have ruled out immediate purchase in this quarter. If the customer is engaged, he will simply come back to you when he decides to buy and will close the deal in a day! Our recently launched study titled, ‘Indian SMB Sector 2013’ captures some interesting facts and figures on the burgeoning SMB segment in India. The study reveals that with a total base of 48.8 million SMBs, India is expected to emerge as the largest SMB country globally. The SMB sector in India is growing at an exceptional rate and has the potential to be one of the primary drivers of the Indian economy. Today, 1.5 million SMBs export their products or services outside India which is a sign of the sector’s rapid evolution. The sector is expected to be the largest employment generator in the country and today represents the true entrepreneurial spirit of the Indian business community. The study also highlights that the Indian SMB space today is largely dominated by micro scale businesses which account for 95% of the SMB landscape. This is followed by small scale businesses contributing 4.8%, and the rest 0.2% by medium scale businesses. Out of the 48.8 million SMBs around 55% are located in urban areas whereas rural regions account for the rest 45 %. SMBs in India have gained strategic importance from both corporations and the government. The recently announced tax incentive for growing SMBs in the Union Budget is one such example. Such initiatives have helped SMBs enhance their competitiveness in the global markets. Globalization in trade is further driving SMBs to improve their efficiency of conducting business. The study also states that around 82% of all SMBs are situated in 10 states in India. These 10 states, also account for 2/3rd of the mobile and internet subscribers in the country. Additionally, Manufacturing is the single largest vertical at pan India level followed by Repairs & Maintenance, and Services vertical. Greater employee mobility, increased competition and expansion in terms of office locations have further pushed SMBs in India to generate more employment. The study indicates that the Indian SMB sector provides employment to approx. 81.16 million people in India, growing at a CAGR of 5.29%, while the fixed investment has been consistently increasing over the years at 11.48%. NowFloats – Getting small businesses online in 4 SMSes and 13 minutes! I recently got a chance to catch up with Ronak and Jasminder (Jas), 2 of the cofounders of this exciting company called NowFloats that aims to bring SMBs online, without making them sweat over it (other 2 co-founders are Nitin Jain and Neeraj Sabharwal) . NowFloats is a team of 20 (4 founders, 4 tech, others in sales and support), based out of Hyderabad, though their customers are spread all over India. Overall, I was very excited by what I listened and saw, I sense that NowFloat holds immense possibilities for small businesses and has all the right ingredients to be successful in its mission. Creating a website takes too much time and effort – even for tech-savvy type, which a small business owner is not. Standard option currently for a small business is to do nothing about online presence; very few businesses hire someone to create, maintain and market their site which is very expensive option without clear ROI. NowFloats solves this problem for small business in an easy-to-use manner at an extremely affordable pricing. NowFloats promises to allow a business owner to create a website in 4 messages and in less than 13 minutes – send the name and address of your business, website name you desire, and your website is ready to use! If you wish to update the site (messages on message board or updating any of the original details you provided while creating the site), it is as simple as sending another message. Site and every message are geo-tagged, which means local searches will show up your website and deep-link to your message. Each update is a page so it can be shared by your customers on social networks, which again has endless social, search and business possibilities. 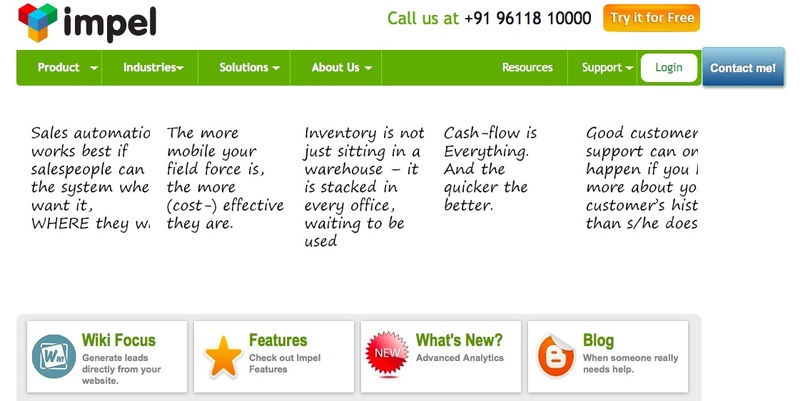 Design: NowFloats is a very well-designed product. Their company website as well as the customer sites are beautiful in their minimalist and pleasing design. Technology: They have a scalable architecture, built using Microsoft technologies. They have 4 patents filed and 2-3 are on the way. They offer subdomains under nowfloats.com in addition to allowing customers to use their own domain names if they wish – like Body Granite Gym and The Courtyard & Cafe Courtyard do. Analytics: They care deeply about analytics that customers get about their online visitors. Businesses get weekly information about how their site is doing (# of page views in a week). On their product roadmap, they have features to provide details like which messages got max view, keywords which generated maximum views, etc., goal being to show what type of content is attracting maximum traffic. Pricing: Pricing Plans (5K to 12.5K a year) are very competitive, given that even hosting a site costs 3-5K a year. NowFloats is still reviewing pricing strategies based on market feedback so expect this to change soon. It is very easy to set this up indeed. 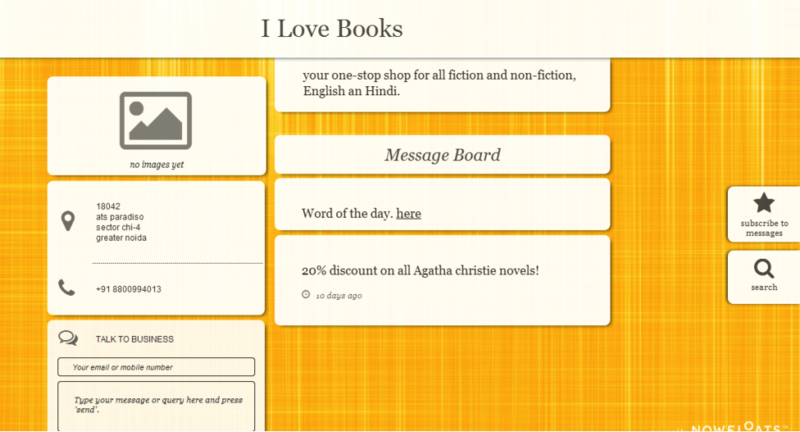 I was up and running with http://ilovebooks.nowfloats.com/ in less than 10 minutes. As soon as the site was created, I got a call from their customer service. They wanted to confirm my identity and walk me through the next steps, including collecting payments. I realized I picked a wrong name for my business, so I wanted to change. A call to customer support informed me that they will have to do the change for me, though an app is coming which will allow self-service. Later I found it was only partially true, the name (and many other details of the business) can be updated through SMS messages even now. I promptly used the service. I wanted to update the site using my laptop, but changes can only be done using SMS, upcoming app, or customer support. I find this a little annoying. I tried to get creative and sent an html fragment as an SMS message, which created a broken message on the site. Given that I can’t update it online; this requires me to call customer support. Later I was told how to do this, and also given the current target audience, this is not an often used feature. Clearly small businesses see value in NowFloats offering. In a short span, they have 1600+ customers live, including customers like Hazzel Ice Cream Cafe and Dr. Chandrika’s Kerala Ayurveda . I was fascinated by the variety of customers they have attracted, including my favorite restaurant in Hyderabad, a Nokia Priority franchisee, and even a personal branding site. These sites are discoverable (through geo-tagging, auto-generated tags and other SEO techniques, sites and messages come up in ahead in all search results) and drive engagement (users subscribe to the messages, businesses get notified when someone subscribes or shows an interest). Conversion (people visiting the business) is hard to track and NowFloats team is working on some solutions that will allow such tracking. Geography: Started out with targeting Hyderabad businesses. Currently they are focused on Bangalore businesses. The goal is to have pan-India sales presence soon through partnerships and other means and continue to expand city by city. Catagory: One of the innovative ways they target a particular category is to target the franchise business owners of a particular brand. For example, they have brought many Nokia Priority franchisee owners online, same with Printo. Given the huge number of franchisees in India, this seems to be a winning sales strategy. Partnerships: They have a shop-in-a-shop model with Printo. Since Printo serves much of the same customer segment as NowFloats but with a complimentary service, this is a great move to gain customers. They are exploring similar partnerships with complimentary service providers. Online Presence: I can’t discover NowFloats online. Google search for getting my business online didn’t say anything about them in first 3-4 pages. I think they need to make their discoverability better as they go forward. Social: Small businesses thrive on communities and loyal customers who like the service they get. One of the best ways to reach small businesses is to tap into this community and loyal customer base, through social or other platforms. I would love to introduce NowFloats to the small shops I visit near me, but there is no good way for me to do so. When I researched around, surprisingly, there aren’t many cost effective ways for small businesses to create online presence. India Get Online program from Google aims to get Indian businesses online and are a viable option for a small business. However, I think NowFloats offers a more targeted and sustainable product, that can potentially complement the Google offering. Google’s strategy is to get a basic site up for you so that you are visible in local searches, to stay visible. NowFloats focuses on getting a site for you and market it online for you, thus helping you stay focused on what you do best – run your business. Richer Eco-system: NowFloats plays in the local search space through their mobile app. A successful ‘NowFloats for business’ means rich data about local businesses available for their app to make use of. Controlling the supply of rich data from small, local businesses has lots of grand possibilities. Richer Revenue Models: Currently, there revenue is subscription-based, and it may be hard to show how an investment of 12500/- per year translates into increased traffic (and revenue) in their offline business. Their goal is to evolve newer revenue models that can directly tie NowFloats revenue with SMBs revenue, thereby creating a symbiotic and sticky relationships. Richer engagement with businesses – Businesses need many services as soon as they realize the potential of an online presence. Selling online, driving deals, building software solutions for their businesses, etc. all can be offered once the business is on-boarded. Power of an idea lies in simplicity and pervasiveness. After I talked to NowFloats team, I have been observing small shops around me in a new light. If the great little corner shop selling briefs could be easily discoverable, If my favorite restaurant in Greater Noida could be more engaging, if the grocery shop in my apartment complex had an easier way to let me know of his deals, I am sure these businesses would benefit immensely. And it is so simple for them to do so now – by using NowFloats. Nowfloats is a very powerful idea whose time has come – may all the power be with small businesses and NowFloats! Bharat Goenka is the architect of what is arguably India’s most successful business solution — Tally. Co-Founder and Managing Director of Tally Solutions, Mr. Goenka developed the famous accounting solution under the guidance of his father, the late Sri S S Goenka. Today, the product is the de facto accounting solution for many SMEs and Mr. Goenka serves as an inspiration for many aspiring software product entrepreneurs. In an interview with pn.ispirt.in, Mr. Goenka talks to us about the company’s ‘stubborn’ decision to stay focussed on products, the non-DIY nature of the Indian SME and the necessity for product companies to stay focussed on the product mentality. Tally is one of India’s most successful product stories, and it definitely appears to have ticked all the right product story boxes: responded to a genuine market need, stayed focused and evolved with the needs of users. Given the benefit of 20:20 hindsight, would you have done anything differently? The reality is that one doesn’t really learn from the past. We continue to do audacious things, we continue to get some success out of that as well as failure. Over our 25 year history, this has happened multiple times. Multiple times, we have taken a decision and it has gone wrong — but if the circumstance arose again would I take the same decision? In all likelihood, yes — I would have no reason to expect success, but I’d still have the optimism and think just because it went wrong in the past doesn’t mean it also has to go wrong this time. So although I would say it’s unlikely that one would have really done anything different, I can give you an example of a decision not working out for us. In 2004-2005, we changed the price of the software from 22,000 to 4,950 thinking that we would be able to sell software as a commodity. The reality was that for that time, it was difficult to sell software as a commodity in India in the B2B space. And so we suffered, massively. That proved our belief that we couldn’t sell software as a commodity, but it didn’t stop us from trying. We lost almost 50 crores in those one and half – two years, so I would say our single biggest mistake was that. Tally – or rather Peutronics — was founded in 1986 at a time when much of the Indian software industry’s focus was on services. The decision to remain a product company when the tide seemed to be going the other way couldn’t have been easy – why did you make this decision? Actually when we started off, virtually every company had a product. Whether it was TCS, Wipro or Mastek — everyone had a business product. The shift to services took place in the mid-90s, particularly towards the edge of the Y2K environment. We were one of the few stubborn companies who believed that while there was a lot of money to be made in services, we would never be able to address a lot of customers. So the mandate with which my father and I started the company in 1986 was that we were going to change the way millions of people do their business. We were clear that by moving to services, we would never be able to achieve the objective. We were unclear how long it would take us to get to a million — 25 years later, we are still trying to reach even the 1 million mark. But in 1986 we were clear that we want to be able to touch millions of customers. Therefore we remained focussed on our product line. So what was that inspiring moment for you? Did you wake up one morning and decide that this was what what you wanted to do — to change the way these millions of customer did their business, or was it a gradual evolution? In the months before we got the product Tally out, one was into the product mindset but for developing systems related products like compilers and operating systems. So I was preparing myself to do those kind of products. At that time, my father was searching for a business product for our our own small-scale industry business. He examined multiple products, but couldn’t make sense of any of them. He very famously said: “When I’m buying a car I want to be a driver and not a mechanic.” Similarly, he was looking for a product that would help him run his business — not his computer! Every product that he was looking at required him to change the way he thought about his business. So because I was interested in software, he said these guys can’t do anything can you do something? So I was trying to solve his problem. After six months of development, I would say that it was his inspiration and thinking that formed the idea and belief that the product should be something that the country should also use. The belief is that Indian SME’s need to be “sold to” – the job that’s conventionally handled by IT resellers who are critical to Tally’s business model. What are your thoughts on the changes that Cloud technology might bring to this scenario, with the whole “self-service” angle coming into play? India is not a DIY country, and this is unlikely to change in the SME sector. The way the market works in India is like this : SME’s expect people to come and sell something to them, even if it’s bottled water. You expect it to be delivered, and you expect to pay for it in a different way. In India, SME’s behave identical to the way enterprises behave abroad. Abroad, SME’s behave identical to consumers. That’s why in most MNCs, you see that the SME and SO/HO market being handled by a common head while the enterprise head is separate, because they need to be sold to. In India — actually, in all developing markets — the SME and the enterprise behave similarly. In the west, the cost arbitrage of selling to a business is so high that the small business has no other option but to behave like a consumer. In developing markets, the cost arbitrage is low enough to send people to do the sales. And therefore, the buyer expects someone to come and do the sales. It is not about whether the visit is required because of the software complexity or the commercial complexity — it is an expected visit. In your opinion, what are the three most common things that mislead or cause the downfall of Indian product companies today? What advice would you give them to overcome these? I think it would boil down to one — which is to be clear about which business you’re in. Most people believe they are in the business of making money. Okay, even I am in the business of making money but my point is this: you can never be in the business of making money, you have to be in a business — money is an outcome of that. To explain it better, imagine that you are a software developer who wants to start your own product company. Capital costs are not very high — a single computer will cost about 20k, and assuming you develop the skill, it will some months to develop a software, and you’ll get your software out. You might put together an infrastructure, sales people etc and you’ll put up a monthly expenditure of about 25 – 30k. You start seeking customers — you find me. You sell me your product for say 10k. In all likelihood, I bought your product because I like your software development style and perhaps your product solved two or three problems I had — but I still have twenty more. Now because I like your software development style, I’ll ask you to do more work for me. I might ask you to expand the product features, solve some HR problem that I have which this software doesn’t solve and I’m willing to pay you for it. Your first ten customers will give you so much work, you won’t have time to go out and find your next 100. Or even if you find your next 100, they will give you so much work that you won’t be able to look for your next 1000. So ultimately, you will still continue to successfully make money, but you will never be able to create a successful product company. This is the single trap that I see almost all product companies fall into today. They all make money, and that’s why they’re still in the business but they stop eyeing the fact that they were supposed to be in the product business and not the services business. Now imagine taking a strategic decision like this in the early days when there was no competition in the market– today you can take a decision to change over night. But in the early days, while we did do services for companies (if someone asked you to do something extra, you did do it) we refused to take a single penny for any services that we did. That forced us to focus on selling new licenses. Otherwise once you’re able to get money from services, there’s no requirement to sell new licenses! In your opinion, what’s the reason behind Tally’s popularity? At the risk of being politically incorrect, is it because of its “accessibility” due to piracy? Or is it largely because it’s simple and user-friendly? Pirated software doesn’t become popular — popular software gets pirated. We strongly believe in one thing: if my software is not valuable to you, your money is not valuable to me. So customers are able to see tangible value in our software after they’ve paid for it, and therefore they tell their friends to also buy our software. Word of mouth has been the principle pivot of popularity, and we’ve told people on a number of occasions that if our software has not been of value to them, we would return their money. Even after three years, people have returned and we have returned their money. In 25 years, this has happened nine times to us. But fundamentally, if our software doesn’t work for them, their money doesn’t work for us. We see a lot of product start-ups coming up in both the enterprise and consumer space. What would be your advice to start-ups — where do you think they are lacking, and how should they go about correcting these issues? I would ask them this: are they solving the problem for someone else vs are they solving the problem for themselves? If they are unable to be the most prolific users of their own solutions, they will find it difficult to put it elsewhere. It’s the problem of architects, right? The architect is building for you — so they build and go away, but you have to live in the mess. I think as a company we had the privilege of this insight from my father. My most famous depiction of his words was in this context: in the early days, I had asked me a question against a certain context and when I was trying to explain to him that it was very difficult to solve the problem in that manner in software, which was why it was done in a particular way he asked me “Are you writing programs to make the life of the programmer easier or the life of the user easier?”. The general tendency I have seen is that very few start-ups are willing to take the challenge of solving the complexity of the product themselves so that they give simplicity to the end-customer — and this is a fundamental requirement of the product. 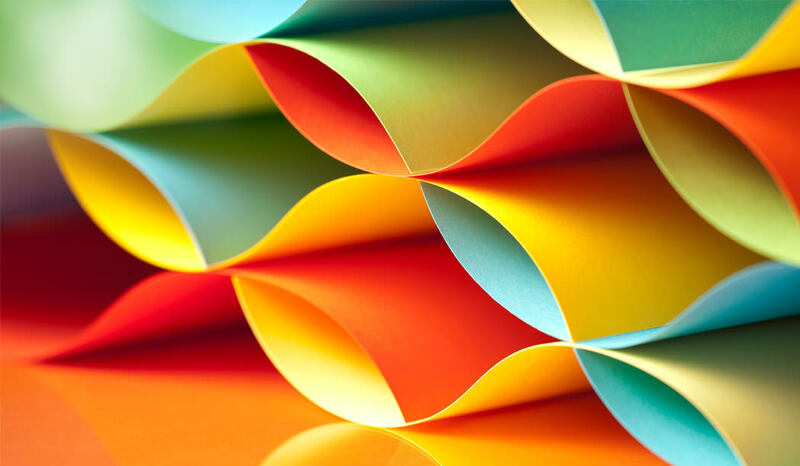 The kind of conversations that you heard around product companies are changing. From an ambitious “billion dollar companies” born out of India (the overarching goal of NASSCOM Product Conclave last year), the focus is shifting to the bold prediction of product software’s robust growth, in the coming decade and half, eliminating poverty. In his opening remarks, Sharad Sharma, NASSCOM Product Chair (who I hear across the board is an inspiration to the whole community of product guys) called product entrepreneurs by labels as aggressive as “arms merchants” and “disruptors.” He went on to make a bold prediction: “product industry will lift India out of poverty.” He sought to portray Cloud as instrumental in product space becoming an affordable, productive, and collaborative space that would transform public health centres and schools in India. Reflecting the evolution of NPC, Som Mittal, President of NASSCOM, said that NPC is a great platform to compete and collaborate. He also revealed that NASSCOM is entering into an MoU with SIDBI to provide risk capital to small companies, which would include IP-led product companies. (SIDBI was provided a fund of Rs. 500 crores in the Union budget for investing in SMBs.) He saw angels, investors, and incubators becoming active in the product ecosystem. Mr. Mittal’s statement that CIOs were open to buying from startups should give product entrepreneurs a sweet ring in the ear. M.R. Rangasami, co-host of NPC 2012, saw three phases of evolution of the product industry in India: mimicking US to get funding initially, growth of enterprise software in the next decade, followed mobile and Cloud computing causing a paradigm shift in this decade. He was optimistic that software products offered at low price points offered by product entrepreneurs (leveraging the Cloud) will be consumed by thousands of customers. In a sort of answer to the overarching question of a billion dollar business emerging from India (the same time around last year when Flipkart was rumoured to have obtained a billion dollar valuation), InMobi, a mobile advertising ecosystem player, has emerged as perhaps the biggest company to grow out of India in the last 5 years. Naveen Tiwari’s keynote should be remembered for something alien to product entrepreneurs in India: talking numbers that are in the million and billion range—a trillion ads providing $2 billion worth of economic transactions, reaching 80 million people across 165 countries. The mercurial growth of InMobi has been made possible by the “Think Big” approach of the team and not being complacent with the present status. The company is devising methods to grow five to ten times in the 5 years from now. Naveen Tiwari said that massive scale happens with huge risks and the InMobi team was willing to bet on it. Aiming big, going global, and hiring the best are the three mantras Naveen Tiwari proposed to build a similar company in India. As M. Rangsami announced the TED-like speech of Tim Parsey of Yahoo!, who has changed seven domains and as many companies, it brought a fresh whiff of outside air. Instead of thinking inside, this change of thinking by organizers to bring in someone with a different perspective seemed to have carried well. Tim Parsey gave an absorbing, exuberant keynote on design being important for products. Using the bicycle as an example of his REM framework, he translated the evolution of bicycle to products within the REM framework. Rational value, Emotional, and Meaningful are important components of the design, in Tim Parsey’s philosophy. A rational value in terms of performance and new capabilities, designing for feeling, classic minimalist, and ultraminimalist (appealing emotionally) styles, and being meaningful (aligning to values and evoking personal memories) make a product appealing to the customer. The design principles and design culture should be enticing for the employees as well as end customers for whom the product is aimed at, he emphasized. End of keynotes opened up to six parallel sessions and thankfully one was cancelled. The sheer excitement of peeping into several sessions would have satiated the delegate but wouldn’t have had a carry on their learning. Color codes in the Agenda clearly showed the prospective audience base for the sessions. If I would have made a point of covering them all, I would have left the readers disappointed with piecemeal quotes that wouldn’t serve purpose. I stayed on with one session per slot. In a curiosity to understand the Indian market, I walked in with a lot of hope of three wise men telling us how Indian market so big as an ocean could be tamed with a magic wand. In the end, despite “doom and gloom” sought to be avoided, Indian market despite millions of potential customers turns to be less attractive for a product entrepreneur if segments are suitably sliced. Pari Natarajan of Zinnov showed the microcluster of leather SMEs finally boiling down to 2000 users. Terming product business in India for SMBs non-VC fundable (implying lack of scale), Pari however said e-commerce is a robust segment. Naru Narayanan, investor, mentor, and former executive selling retail products across India, cautioned the lure of big numbers. He sought to convey that any big number showcased should be treated with caution and provided his guestimate method of arriving at a rational figure. Vijay Anand put the conversation in perspective by bringing down the glorious 900 million mobile users to an active 300 million (multiple SIMs being the discounting factor). Despite the promise of the billion plus, Indian market is yet to become technophilic. Technology touches a niche and not yet mainstream. This led me to a conversation with Kishore Mandyam of PK4 Software, who led a panel on AWSME Survey, the Nielsen survey commissioned by NASSCOM to look into the SMB market in India. This is an awareness survey by NASSCOM to understand what ails the SMBs in terms of buying software. In over a 1000 SMBs surveyed, it was known that only 30% of SMB owners were approached by a software provider and for example in Kochi, 86% of SMBs were not approached. Out of them, only 9% know the term Cloud computing. To make SMBs adopt technology massively, NASSCOM mandated this survey to drive its Software Laga Do Yaar! Mission. The survey will be used to further enhance the market penetration of software by understanding pain points, influencers, and decision makers by a follow-up engagement perhaps by using case studies to influence buying decisions. As the afternoon set in and more sessions awaited, the delegates swarmed the lunch area exchanging contact details and engaged in conversations.